Need to get today's top stories on-the-go? Watch Christine Romans' morning minute now! New York's mayor tries to defuse tensions. North Korea has its Internet back. And rock and roll says goodbye to an iconic voice. 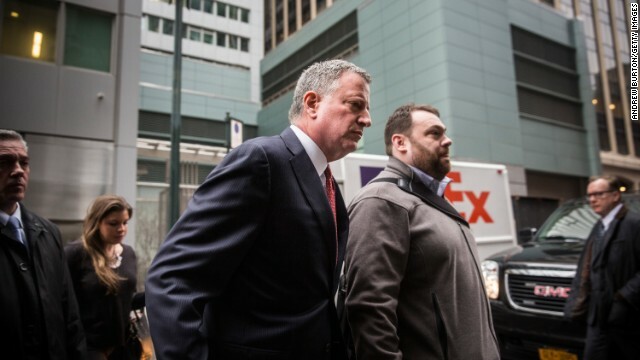 Turning blue: New York Mayor Bill de Blasio is catching plenty of heat in the aftermath of the execution-style killings of two of the city's cops over the weekend. Critics - including those in the police force - accuse him of stoking an anti-police fervor that contributed to the deaths of officers Wenjian Liu and Rafael Ramos. He came into office promising police reform. Now he's trying to cool tensions after encouraging people to protest the killings of Michael Brown and Eric Garner, two unarmed African-American men, at the hands of white police officers. Neither officer was charged. He said the murders this weekend were "an attack on all of us" and called for a hiatus from the protests.